The main home is in beautiful condition with 1,542.5 sq ft of finished living space. The main living area offers open concept living with a spacious kitchen boasting ample cabinet and counter space and open to the dining room. The living room features a corner gas fire place and a wall of windows overlooking this fantastic property. The master suite offers a full en suite and a gracious sitting room with a gas fire place! The main level is completed with a good sized second bedroom. With its own separate entrance the lower level is beaming with opportunity! In addition to hosting two bedrooms the lower level also boasts a large living room, a full bathroom, and heated floors! Call today to book a showing! Home for sale at 31229 Range Road 32 Rural Mountain View County, Alberts T0M 0W0. 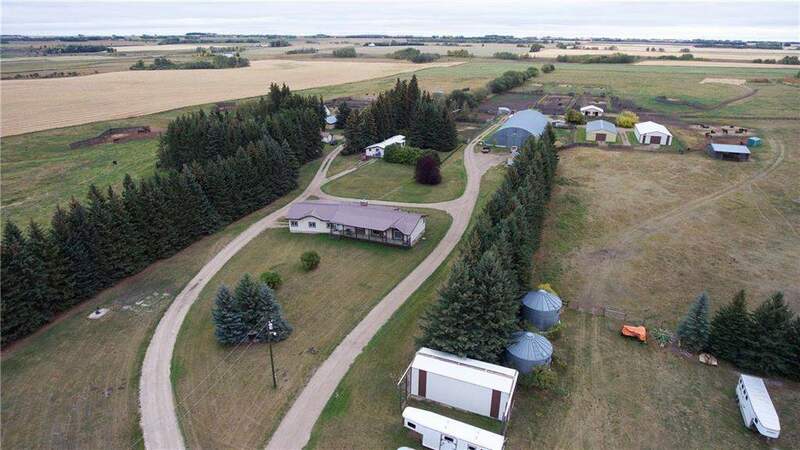 Description: The home at 31229 Range Road 32 Rural Mountain View County, Alberta T0M 0W0 with the MLS® Number C4205864 is currently listed at $1,450,000.